The long-awaited, daring, and magnificent novel from the Pulitzer Prize-winning author of A Visit from the Goon Squad. Manhattan Beach opens in Brooklyn during the Great Depression. Anna Kerrigan, nearly twelve years old, accompanies her father to the house of Dexter Styles, a man who, she gleans, is crucial to the survival of her father and her family. Years later, her father has disappeared and the country is at war. Anna works at the Brooklyn Naval Yard, where women are allowed to hold jobs that had always belonged to men. She becomes the first female diver, the most dangerous and exclusive of occupations, repairing the ships that will help America win the war. She is the sole provider for her mother, a farm girl who had a brief and glamorous career with the Ziegfeld Follies, and her lovely, severely disabled sister. At a nightclub, she chances to meet Dexter Styles again, and she begins to understand the complexity of her father's life, the reasons he might have vanished. Mesmerizing, hauntingly beautiful, with the pace and atmosphere of a noir thriller, Egan's first historical novel is a masterpiece, a deft, startling, intimate exploration of a transformative moment in the lives of women and men, America and the world. 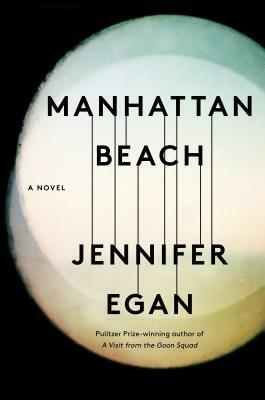 Manhattan Beach is a spectacular novel by one of the greatest writers of our time.